Chapel Hill, N.C. — Days after a crowd of angry educators marched on the State Capitol to protest changes to public school spending in the state budget, Gov. Pat McCrory on Thursday proposed a fund to reward “master teachers” and cutting the number of standardized tests required in North Carolina classrooms. Speaking at the North Carolina Chamber’s annual education conference in Chapel Hill, McCrory said business owners repeatedly tell him that they cannot find qualified employees for their job openings. The state needs to do more to prepare students for the workforce, he said. McCrory said he wants to create a $30 million Education Innovation Fund with federal Race to the Top grant money to pay for digital classroom initiatives and trailblazing schools and to reward teachers. Under the program, at least 1,000 teachers selected by their peers statewide would receive $10,000 stipends to implement career- and college-ready standards. Calling the state’s pay scale for teachers “archaic,” he said the stipends would begin the shift toward rewarding classroom expertise and provide recognition for North Carolina’s top teachers. 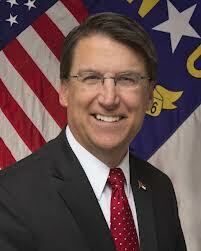 The governor also called for cutting “ineffective and burdensome testing” in North Carolina classrooms. The number of mandatory exams in Mecklenburg County, for example, is approaching 200 per year in grades 4-12, he said. I think it’s irresponsible to take a position that republicans don’t value education in the same way that democrats do, or the left do. Rather it’s important that reasonable people can be expected to have different methods to the same problem. This entry was posted in Education, Politics: North Carolina and tagged Pat McCrory, Teacher Pay, Testing. Bookmark the permalink.